You hear the advice constantly: Before you apply for a mortgage loan you need to read your credit report. It’s good advice. Your credit report will alert you to any potential financial trouble spots. If you forgot to make a car payment two years ago, your credit report will list it. If you have an open credit-card account that you haven’t used in five years, your report will show it. And if you’ve declared bankruptcy or foreclosure in the last seven to 10 years? Those negative judgments will be on your credit report, too. But here’s the big question: Once you do receive your credit report, how exactly do you read it? There’s a lot of information on your reports. It can be confusing. Here, then, is a helpful guide to making sense of your credit reports. Your first step? You need to order your three credit reports. That’s right, you have three credit reports, one each compiled by the three national credit bureaus Experian, TransUnion and Equifax. Each of these reports can be slightly different, so studying all three makes sense. 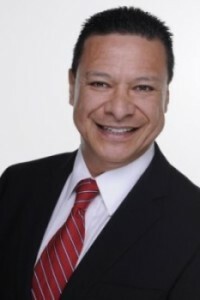 Fortunately, you can order one credit report each from the three credit bureaus once a year by requesting them at the Web sitewww.annualcreditreport.com. Be sure to only use this site. Other sites with similar names might charge you for what should be a free service. Each of your reports will start with a list of your personal information. This is pretty basic stuff, and will include your name, date of birth, Social Security number, current address, former addresses and employment information. Give this section a read-through to make sure the information is correct. If you discover any errors, notify the offending credit bureau in writing. If you have any recent financial disasters — say a foreclosure or bankruptcy — they will show up in the public records section of your credit report. Ideally, you’d like this part of your report to be blank. If it’s not, the report will list when a court judgment, bankruptcy or foreclosure was filed. Your report from TransUnion is unique in that it will also list when these negative bits of information will fall off your report. Here’s your glimmer of hope if this section of your credit report is crowded: Negative judgments do fall off your credit report over time. A Chapter 7 bankruptcy will fall off your report after 10 years, while a Chapter 13 bankruptcy filing will disappear after seven. Foreclosures will disappear after seven years, too. The adverse accounts section of your credit report is an important one, too. This section lists all of your credit accounts — often these will be credit-card accounts — on which you have either made late payments or missed payments entirely. These negative notices remain on your credit report for seven years. Some of these adverse accounts might come with a notice that the information is being “suppressed.” In such cases, only you see this information. This usually happens when a credit bureau is investigating a negative action and is still waiting for clarifying information. Not all the news on your credit report is bad. Your reports also include a section devoted to accounts in good standing. These are the credit accounts on which you have no missed or late payments during a certain period of time, often the last 53 months. This section will also list how much you owe on these accounts. Check the figures to make sure that they are accurate. There’s also the credit history requests section of your report. When creditors request to see your credit report — maybe you’ve applied for a car or home loan or for a new credit card — the request will show up here. You’ll also see why these creditors asked to see your report. Creditors are required to provide this explanation. If you want to correct any mistakes that you’ve found in your report, you’ll have to do so directly with either TransUnion, Experian or Equifax. 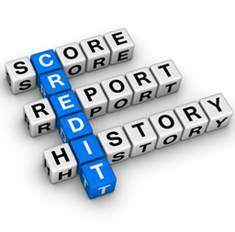 Fortunately, all three of the credit bureaus today allow you to correct errors online. Log onto the bureaus’ Web sites to start the process.